Here's a comprehensive list of all application and consumption methods of cannabis. Enter and discover the many ways our precious marijuana can be used. Cannabis is a versatile plant that can be consumed and applied in various ways. You can smoke the infamous OG Kush, vape the sativa-dominant Lemon Haze, even smear some cannabis-infused topicals on your skin. Here we present you with all the main consumption and application methods of cannabis, as well as their pros and cons. Let’s begin! The most classic way of smoking cannabis is from a joint, spliff, or blunt. A spliff is made from thin smoking papers, weed, and tobacco. Tobacco is not something that should be consumed, however, many consumers prefer to mix tobacco with weed because today's weed can be super potent. A joint is a spliff without tobacco; it's great for tasting the true qualities of the herb, but it can be extremely potent. To get started, here’s a guide to roll a perfect joint. A blunt is simply made out of thick cigar papers—it's what Snoop Dogg smokes all the time. Blunts look super cool and are usually consumed by several people in a smoke circle. Twaxing is a relatively new trend involving the ornamentation of one’s joint or blunt with cannabis concentrates and kief. When a joint is perfectly rolled, one can gently heat up shatter and artistically garnish the joint like string lights on a Christmas tree. Kief can then be sprinkled on top. This will add a significant cannabinoid boost to one's joint. This method requires some skill, patience, and intelligence. Concentrates and weed don’t burn at the same rate, so the perfect thickness and placement of the hash oil will greatly determine the quality of the experience. Smoking some high-class weed from a pipe has been around for centuries. The most classic pipes are the small “souvenir” pipes with a weed leaf or Bob Marley’s baked face printed on the side. Pipes come in all shapes and sizes. You can find metal pipes, glass pipes, wooden pipes, pipes made out of fruit, and even a Gandalf pipe. Yes, that’s what Gandalf was smoking from his magic pipe. The best thing about a pipe is that you don’t need a lot of equipment to blast off. All you require is a pipe, a lighter, and some weed. The main con is that one needs to clean the insides of the pipe, which gets dirty and clogged fast. Also, smoking from a pipe may look like you’re smoking crack to the bypasser. Smoking weed from a chillum has been practiced in India for centuries. A chillum is basically a ceramic or glass cone. The weed is placed in one end of the chillum, and one uses both hands to control the intensity of the inhaled smoke. This consumption method is rarely practiced widely anywhere else besides India. It’s quite a hassle and takes some time to handle correctly. But if one wants to smoke like the sadhus worshipping Shiva, a chillum is the way to go. Bong-smoking stands at the pinnacle of consumption methods. One pours water into the bong, lights the weed on the side, and the smoke is then inhaled. When releasing the “shotgun” hole on the side while inhaling, the smoke rushes into one’s lungs. Bongs are made from acrylic, glass, or ceramic material. They can also be made from fruits and vegetables—a good alternative for vegetarian smokers. Adding some ice in the bong will cool down the smoke, enhancing the experience. Bongs usually generate a more powerful hit, which can be quite overwhelming for novice smokers. Edibles may just be the most delicious way cannabis enthusiasts can enjoy their weed. Dry herb needs to be decarboxylated to convert the THCA to THC, making it psychoactive. Since cannabinoids attach to fats, decarboxylation usually involves combining cannabis with vegetable oils or butter over heat. Medicinal users are known to benefit from edibles as the effects last much longer and are defined by more narcotic and intensive highs. To make cannabutter, one needs to simmer butter, cannabis, and water for 3 hours, then strain the mixture and cool it in the fridge. This will produce a layer of cannabutter which we treasure dearly. Canna-oils, weed brownies, space cookies, curry, you name it, cannabis can be used in any food. Edibles are amazing because enjoying food with weed goes hand-in-hand. Also, the dosing can be very precise—great for patients using cannabis for their ailments. The downside is that many people take too big of a dose, get super baked, vomit, and join the anti-legalization brigade. Cannabis-infused drinks are a drinkable variation on edibles. Making a delicious drink with fruits and some weed is super tasty. Since cannabis needs to be decarboxylated, it’s usually heated with milk or cream, which is then added to coffee, bhang lassis, milkshakes, and various other beverages. When making cannabis tea, one should add a little bit of butter for the cannabinoids to attach to the fat. Drinks can also be made using alcohol. When ground weed is placed in a large Mason jar with alcohol and placed in a dark and cool place for 2–60 days, the infused alcohol can be used in various drinks, providing an alcohol and weed buzz. Drinking weed is delicious, but one can easily have too much. Vaporizing weed has become a trend in recent years because it’s a much smoother and safer alternative to smoking. Vaporizing weed refers to heating cannabis between approximately 160–220°C, so that the desired cannabinoids and terpenes are release from the herb without it combusting. There are many fancy vaporizers on the market, based either on convection or conduction technology. Vaporizers are either desktop or portable, and made for vaping dry herb, oils, or both. There are hundreds of different designs with different functionalities. With vaporizers, one can truly taste the delicious cannabis flavours. The downside is that vaporizers are usually expensive, and can be a hassle to clean and maintain. Homemade devices are another consumption method based on the ingenuity of the cannabis consumer/engineer. Some people can construct airplanes, some people can dunk basketballs, and some people can build a smoking device out of anything. You can make a pipe out of a banana, avocado, or an apple; you can build a gravity bong out of a bucket and a plastic bag, or make a vaporizer out of a light bulb—the possibilities are limitless. The best thing about DIY smoking devices is that they’re fun to make and can be a lifesaver if one forgets to bring their weed equipment. The downside is that they can take a long time to make, and the quality of the smoke can suffer depending on the construction of the device and the materials used. Dabbing refers to ingesting concentrates through a dab rig. Here's how dabbing works: The metal/quartz nail on the side is heated with a torch lighter, then the concentrates are picked up with a special dabbing tool and placed on the heated nail. This melts the concentrates, turning them into a form that can be inhaled. There are also next-gen dab rigs that run purely on electricity, although some of these are said to be sub-par in quality. Dabbing is great for super-potent hits as most concentrates contain THC levels well over 60%, all the way up to nearly 100%! The downside is that the effects are often too “in-your-face” and can feel quite excessive for the inexperienced. Sublingual application of cannabis is great for anyone who doesn’t want to smoke, vape, or consume edibles. Decarboxylated oils can be placed under the tongue, as long as they have a runny and oily consistency. Canna-oils (food oils infused with marijuana) and CBD-crystals can be applied sublingually. The body will quickly absorb the cannabinoids and other cannabis compounds. Sublingual consumption is really nice because it's a quick method; one simply drops a couple of drops under the tongue and that's it. The main downside is that it’s easy to take too much because tinctures and oils can be very potent. Raw cannabis can also be consumed, but it won’t get you high. As it has not been decarboxylated, it contains plenty of THCA and CBDA. Adding some raw cannabis into a healthy smoothie can be a delicious way to boost your culinary endeavours. The downsides to this are that there are no psychoactive effects, and some people dislike the plant-heavy flavour. Topical creams are used for various skin conditions or just to keep the skin nice and hydrated. Today, various companies are infusing topicals with cannabinoid magic. The skin comprises CB2 receptors, which are activated when in contact with cannabinoids present in marijuana. This method will not get you high, even if these topicals include THC. 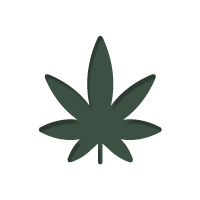 There are couple of rarely used applications and consumption methods for cannabis. Hospitals can provide patients with intravenous cannabis, which has been specially prepared by professionals. Never shoot up cannabis, it’s a big no-no and you may get seriously sick. Suppositories are another application method that are less conventional; they're often made from cannabis and coconut butter. There are also pharmaceutical mouth sprays like Sativex, cannabis chewing gums, and more. There are so many ways we humans can consume and apply cannabis products. The future will show all types of products that will expand our understanding of what cannabis truly has to offer. So choose your favourite consumption method, cover yourself in weed, and enjoy a happy life.